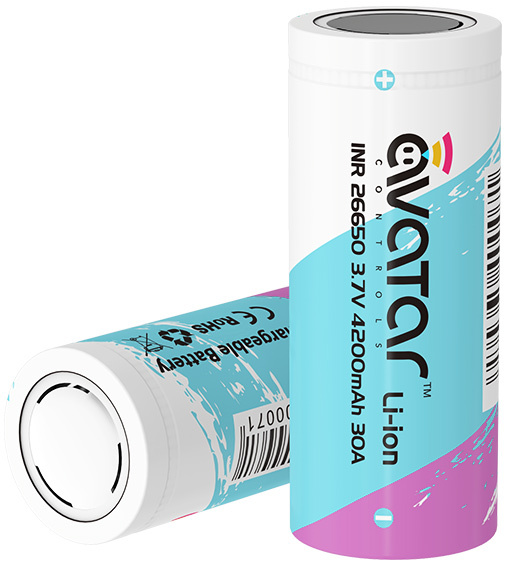 Avatar INR 26650 Battery, a high performance rechargeable lithium battery, with 60A peak discharge current and 30A continuous discharge current, enough to run any high drain device. Application: Electronic Cigarette, LED flashlight, medical machinery, wireless communication, camera, notebook and other digital products, many electronic products etc. 1) INR Li-ion 3.7V 4200mAh. 2) After more than 300 cycles, the power still remains 80%. 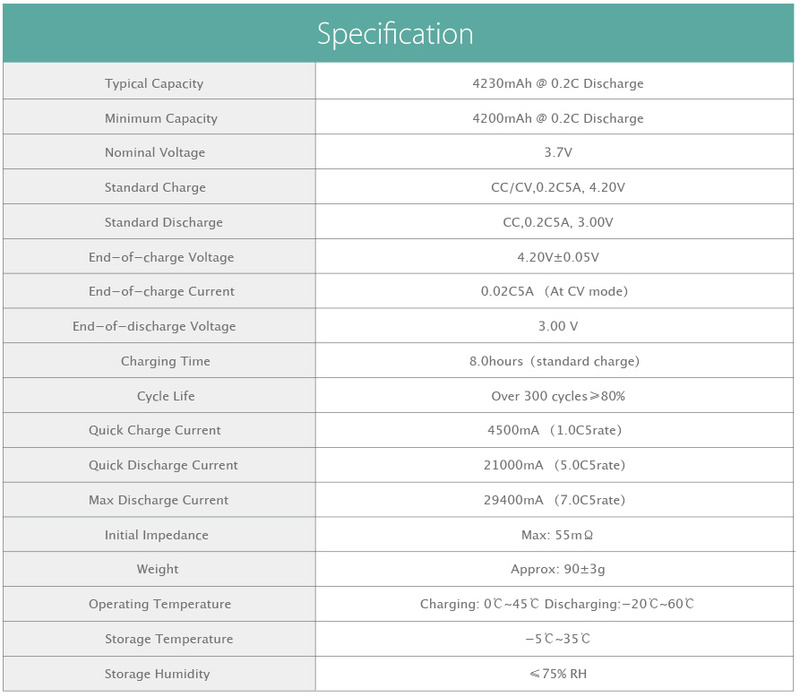 5) Installed poly switch will cut off power if battery discharge current more than 6.6Ah. 6) Perfect for building up battery pack for medical equipment Back-up or EPS Emergency Power. 7) Supply which requires compact size and lighter weight. 8) The battery module is wrapped by PVC.